There are many reasons why you may be in a situation where you need to sell your home quickly. Life has challenges such as divorce, needing to relocated because you received a new job in a different area, inheriting a home from a family member, becoming ill and needing to sell. Rather than listing your home with a realtor, fixing up your home for sale, hosting open-houses, and waiting for the right buyer for your house, you can get a free offer for your house from a local real estate investor. Sell Your House Fast by contacting a local investor. They will come to your home, review the condition of your home, and provide you a free, no-obligation home selling offer. The housing crush has had a range of side effects across the nation. However, with more and more new home developments struggling to fill the new properties, a new phenomenon has appeared. There are fewer and fewer new suburban developments showing up on the fringes of communities. Expansion that was so rampant in the real estate boom has suddenly disappeared or stalled midproject, leaving empty houses gaping at passerbys.Some of these communities are filled with homes that are in foreclosure which makes it harder to sell a home next door. Home owners have vacant lots next to them and they need to stop foreclosure themselves. What are the pros and cons to the recent disappearance of these suburban communities? Besides the obvious financial troubles with the construction companies associated with these areas, there is an impact for the local homeowners as well. With fewer inhabitants and stalled increases in the homeowners to these commuter communities, morning commutes into the city are less than what might have been if these suburban areas had filled. Enticed by lower prices and more house available through these suburban communities, more and more homeowners looked to purchase these properties during the real estate boom years. However, as the real estate market has stopped, these homes are not being filled, making the commute to the city a little easier. Areas like Prince William County have shown the impact of this suburban community disappearance. With a deflated real estate market and increasing gas prices, the foreclosures have pushed median home prices down 32 percent in just the last year alone. Fewer individuals are on the interstate and more are crushed into crowded buses headed to Washington D.C. This area of the county has seen the impact of tightened credit restrictions and fewer buyers. The bubble has popped here and the impact was swift and sudden. Zillow recently performed an analysis of markets to determine what has happened to the inner and outer suburbs in major cities nationwide. What they found was very interesting. Essentially, the prices for inner suburbs, those within a ten mile radius from the center of the city had changed little. However, as the radius grew larger and larger as far as fifty miles from the center of the city, the prices dropped drastically. Of course, if the city was close enough to another major metropolitan area such as the case with Washington D.C. and Baltimore, for example the prices would begin to rise again as proximity to the neighboring town increased. Other cities proved the opposite reaction. Some areas like Atlanta, Dallas and Detroit that often have rough and tumble downtown areas still saw improved prices in the suburbs far away from the center of the city. Detroit has a weak economy in the center of town, making homes here less desirable than the benefits offered in the surrounding communities. Atlanta, on the other hand, has had a number of premium condos built that has offset the nearby home values. An oversupply of new homes in the suburbs is affecting the existing home communities nearby. As fewer and fewer new home developments are being purchased, these properties are drastically reducing their prices to get the homes sold. Oftentimes, these price drops ultimately cause the entire neighborhood to lower prices because the competition is all around. Lowest Mortgage Rates Since 1971! This week marks a new low for mortgage rates. Mortgage rates are at a 37 year low. Rates have not been this low since 1971. The federal government decreased interest rates for the seventh consecutive week. This is an all out attempt to bring home buyers into the market and take some inventory off the shelf. The thought is lower interest rates will bring home buyers out from the bushes and the side lines. It will also help the many home owners who have home equity lines of credit on their homes. HELC interest rates usually move up or down with the prime interest rates. This week housing permit data also came out, with good news and bad. The results state November as the lowest housing permit month in history since 1975. The good news from this data is less homes being built mean some of the existing homes sitting vacant on the market will be purchased. The bad news is if home building permits are going down, it suggests local economies are struggling and decreasing as well. It takes many trades and people to build homes. Plumbers, electricians, framers, engineers, designers, project managers, and the list goes on. With less homes being built these people have no where to work and that is not good or the economy. So with all the bad news about the real estate market many questions come to mind. When will the real estate market find a bottom? When will we stop seeing more foreclosures across the nation? When will many of americans largest investments start seeing positive returns rather than declines in the double digits? There is no one or two pieces of data that can lead you to the answer of when the real estate market is going to turn around. There are however a few economic factors that you can track locally to determine where your local market sits. Here are a few economic factors I suggest you track on a monthly basis. Rate of new house building permits, rate of existing homes sales, rate of foreclosures, and interest rates. If you track these items on a monthly basis you should have a pretty good idea of when the real estate market will hit bottom, or when it does. When building permits increase, and existing homes sales increase it is a sign that better times are ahead. For now if you are in a home that seems impossible to sell I suggest contacting a local home buyer or we buy houses representative in your area. They exist in every major city in the nation. They are not real estate agents but investors who are professional home buyers. You can talk with them at no cost and they can give you great advice about your best home selling options. When will the falling house prices finally plateau? This question is on the lips of a number of real estate market analysts and investors who are looking for the promised turnaround in a housing sector that continues to disappoint. Although regulations are becoming more stringent in the lending market and the real estate sector has seen some overall positive trends, the big factors of foreclosures and a reticent buyer attitude has continued to make property prices fall. Some home analysts are wondering where the bottom prices are. For millions of American homeowners, the same question is being analyzed. With a stalled real estate market, homeowners are sitting tight, waiting for the storm of failing prices to past. While they wait, their home equity is slowly sliding by and the value of their home dips more and more. Many potential home buyers have decided to wait on the sidelines rather than risk selling their home for too little of a profit. And for those individuals who are in the market for their first homes, the unsteady market has played a role for these non-homeowners as well. The ability to secure a mortgage, and establish a good rate, has proven to be trickier as the market continues to spiral downward. Last week, the National Association of Realtors stated that the median price of homes decreased 6.1% compared to a year ago. Sales from the previous month had also fallen 2.6%, which was a higher percentage than had been previously estimated by experts. What hope lies on the horizon for home buyers and sellers alike? Fortunately, there are major housing packages that are currently in Congress that can help to turn the situation around. A beneficial package was passed by the House last week that would boost the market by assisting first-time home buyers. However, analysts state that there are a number of factors that could make the housing market go up or continue to fall in the future. One of these factors is foreclosures. The increased wave of foreclosures has given banks a higher inventory of these properties. In turn, the banks have become eager sellers, wanting to get their foreclosed properties off the books as quickly as possible before prices fall again. However, the surplus of motivated sellers and a stale feeling coming from the potential buyers has locked a number of potential sales. As long as the lock continues, the prices on the properties themselves continue to drop down. Rising energy and fuel costs coupled with poor mortgage situations have been to blame for the rise in foreclosures. However, so long as this trend continues, the drop in prices will follow suit. In addition, there is the question of over-saturation. During the real estate boom years, new housing developments sprang up quickly and were bought even faster. With the halt in the housing market, however, these projects are now additional surplus with reluctant buyers, leaving these homes vacant or worse, unfinished. As long as these trends continue, the prices in properties will continue to drop until more positive steps are taken. If you are thinking how can I sell my house fast to get out from under this large mortgage, contact your local we buy houses professional. 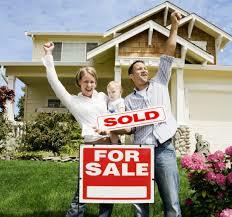 They existing in every major metro area and will give you an offer for your home. Their service is free and there is no obligation for you to accept their offer.